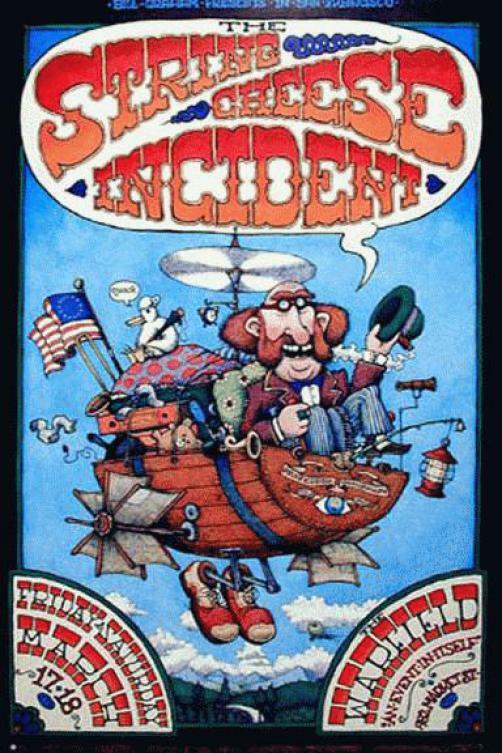 Original concert poster for String Cheese Incident at the Warfield, SF 2000. Art by Dave Huckins. 13x19 inches on card stock.